Here are some art events that I will be doing and continuing in September!! Oklahoma History Center has been *EXTENDED* until the end of the year! Hooray! 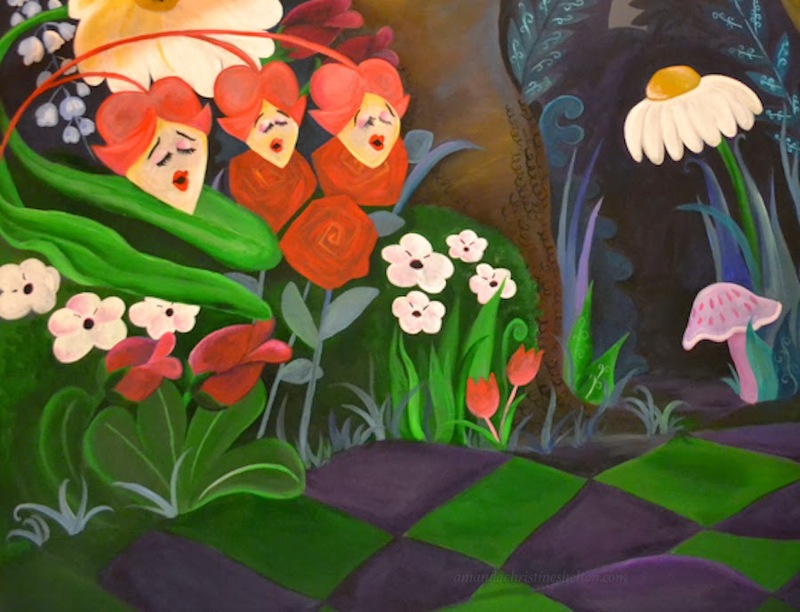 This is a great exhibit paying homage to so many Oklahomans involved in cinema both on-screen and behind the scenes, and I have been so happy and honored to have contributed murals to it... my absolute favorite mural to do was the Alice in Wonderland mural inspired by the Disney concept artist Mary Blair (1911-1978), a native of McAlester, OK. She began working for Disney animation studios in 1940, and has dispelled a myth of no women ever working in animation during that time... she is both an inspiring and empowering figure as so many early animated films are based on her concept pieces. On the 2nd Thursday (Sept 11 as it falls this month) there will also be another X Marks the Art event... I did this in August at the Project Box in the Paseo Arts District and it was lots of fun, and for this next one you will be able to win one of my prints!! What is 'X Marks the Art' ??? Just check out their page to find out! !